ELayer's full line of website monitoring services provide businesses with the solutions they need to actively track and measure their website's reliability and performance around the clock. These solutions help businesses detect and resolve online failures quickly, measure website performance, and drive customer satisfaction through intelligent website improvements. ELayer's TrueBrowsersm technology is designed to monitor even the most sophisticated websites, including Web 2.0 sites, ecommerce sites, login areas and rich media. This technology can record any multi-step web process and test it routinely using real web browsers. 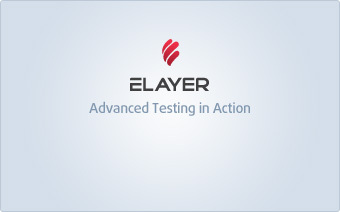 Go beyond automated monitoring with ELayer's Proactive Advantage. Our professional staff will analyze your online performance daily and detect problems that only experts can identify. Proactive Advantagesm is an ELayer exclusive that can be added to any account.